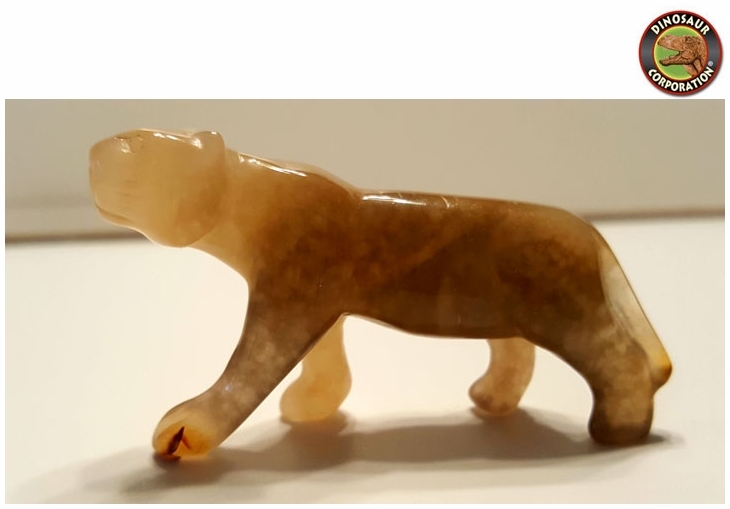 Lion panthera figure is hand carved from gemstone Jasper. In the realm of spirit animals, the lion wins the prize for most relentless fighter in the face of life challenges. The lion spirit animal represents courage, strength in overcoming difficulties. The presence of this power animal could also mean that something �wild� or difficult to control is happening.